Your patio awning will last years if you do a little preventive maintenance and cleaning. When you open the awning for the first time after it has been stored for a while, inspect the awning fabric for any signs of mildew or stains. If the awning fabric is fairly clean, normal cleaning can be done with a soft brush and mild soap and water. More difficult stains, or mildew, can usually be removed with a ‘soft scrub’ type household cleaner. Clean and rinse both sides of the awning and allow it to dry completely before rolling it up. The fabric used on most awnings is made from vinyl but some are acrylic. Once the awning fabric is clean, inspect it for punctures and tears. Small pinholes can be ‘plugged’ with a dab of vinyl adhesive. 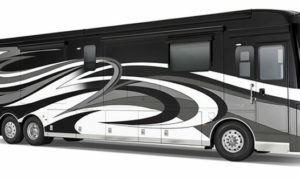 Larger punctures and rips can be patched with a vinyl repair kit available at RV repair centers. 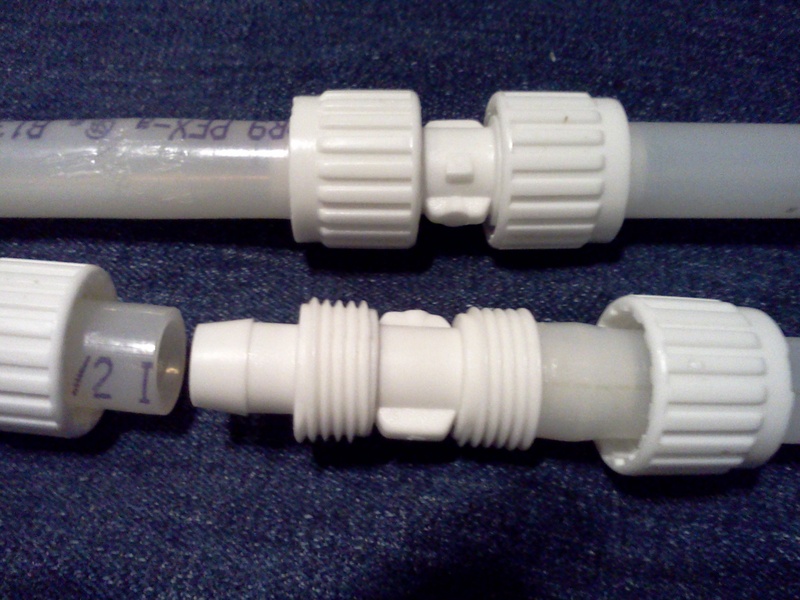 If you happen to have acrylic fabric, use a dab of clear silicone sealant to plug pinholes. For punctures and rips, get a scrap of matching fabric from the manufacture to use as a patch and use clear silicone to adhere the patch on one or both sides. Clean the awning hardware with the same cleaner you use to wash the RV. While the awning is out, inspect the awning hardware. The bottom awning brackets support most of the weight of the awning so it’s important to check that the lag screws are tight. A bent roller tube will be noticeable when you roll the awning in and out. Inspect all hardware for proper operation and broken rivets. The spring tension on the roller tube is very strong can result in serious if you attempt to remove the awning end caps. 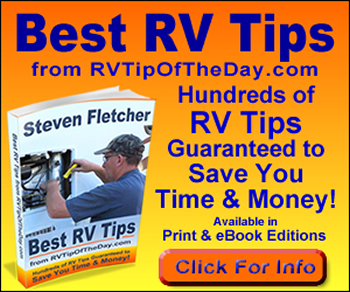 Unless you know how to do it properly, let an RV tech do the work. 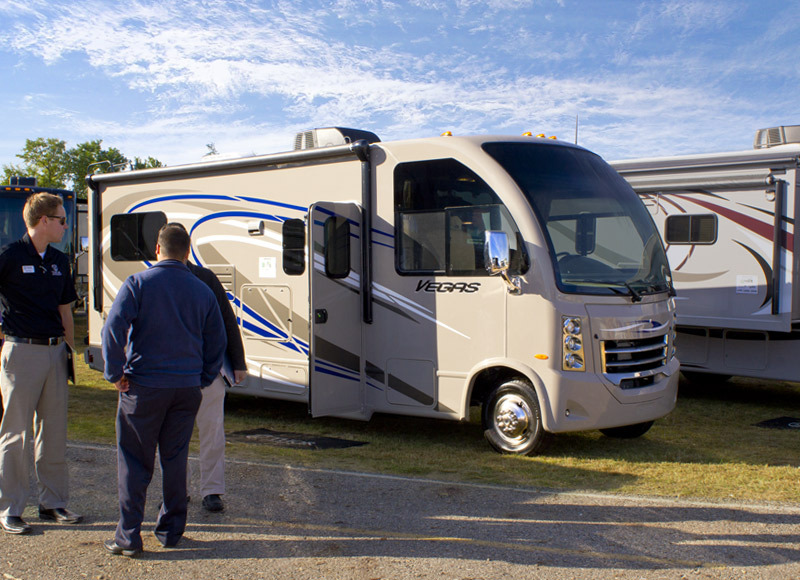 Make sure the awning rail is securely mounted to the side of the RV. Check that all screws are tight and properly caulked. Here are some things to remember when using the awning. Wind speeds over 20 miles per hour can cause damage to the awning and your RV. Of course you can never know when a strong wind gust may blow through but you can minimize the chance for damage by never leaving the awning out when you’re not using it. You can also use awning tie downs to help prevent damage caused by sudden wind gusts or storms. For those breezy days, awning de-flappers really work. If your awning is long and flaps in a breeze consider adding a center rafter. The tension it puts on the center of the roller tube keeps the awning pulled tight and minimizes flapping. The weight of rain water pooling on your awning can cause costly damage. Lower one end of the awning to allow for water runoff. 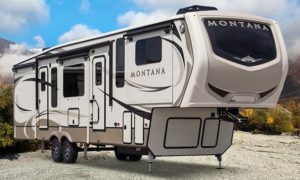 RV Living in the 21st Century: The Essential Reference Guide for ALL RVers For anyone considering or experiencing the RV lifestyle, this book is a wide-ranging tour of things you need to know. 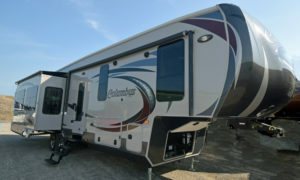 Peggi McDonald, a Canadian with extensive (20 years on the road) RV knowledge; been there, done that. She shares the kind of information and advice that enable people to build their competence and confidence as part-time or full-time RVers. Fran and I are proud to have Peggi as our friend.